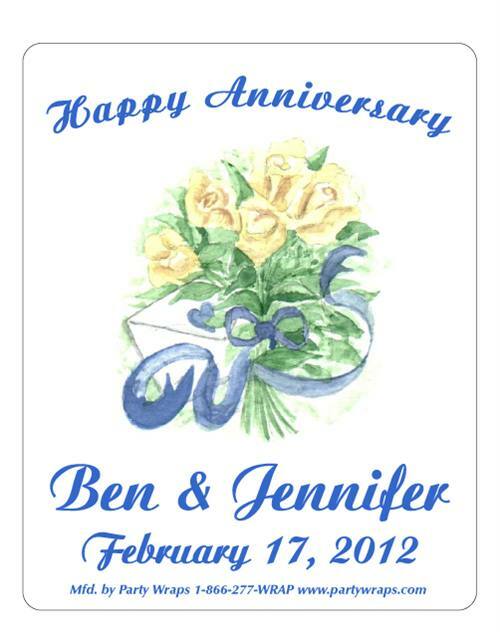 Anniversary Bouquet - Personalized Anniversary Beverage Party Favors, Ideas, Supplies & Gifts. be at the bottom of this page. A minimum purchase of (30) is required for this product. 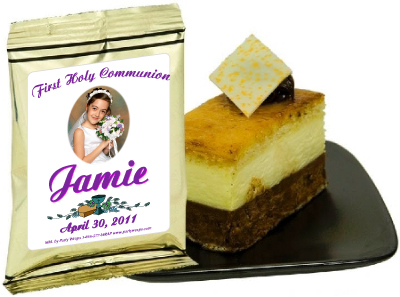 Our personalized Beverage & Trail Mix Pack Favors come fully assembled with a Personalized label. 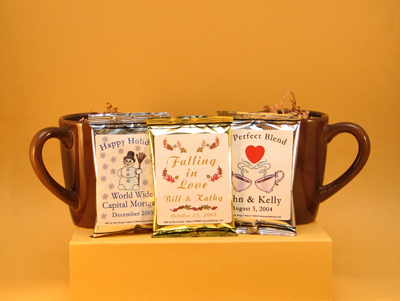 Hot Chocolate Pack Size: 3 3/4" x 4 3/4"
Just add water, each package yields one mug (6 oz.) of delicious instant hot chocolate (kosher). Cappuccino Pack Size: 3 3/4" x 5.25"
Just add water and each package yields one mug (8 oz.) of delicious instant cappuccino (kosher). 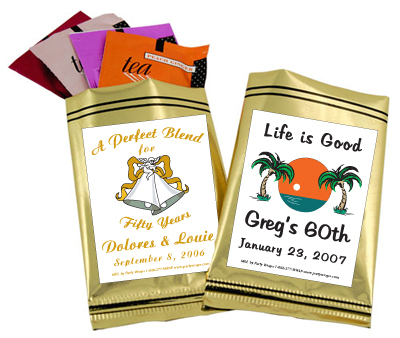 Coffee Pack Size: 3 3/4" x 6.0"
These coffee packets brew one pot (10-12 cups) of Columbian Supremo gourmet fresh roasted ground coffee (kosher). Tea Pack Size: 3 3/4" x 6.0"
Each package contains four delicate tea varieties: wild raspberry, peach ginger, cranberry infusion & English Breakfast. Each tea bag is individually wrapped to prevent mixing of flavors. Trail Mix Pack Size: 3 1/4" x 5 1/2"
These make great hand-outs, snacks and thank you gifts. Each 1.5 oz bag is a single serving of tropical trail mix and fits in a mug. Contains peanuts, raisins, chocolate buttons, pineapple, papaya and almonds.